Teachers and professors are primarily designers. An essential act of their profession is the crafting of curriculum and learning experiences to meet specified purposes. They also design assessments to diagnose student needs, guide their teaching and determine whether goals have been achieved. 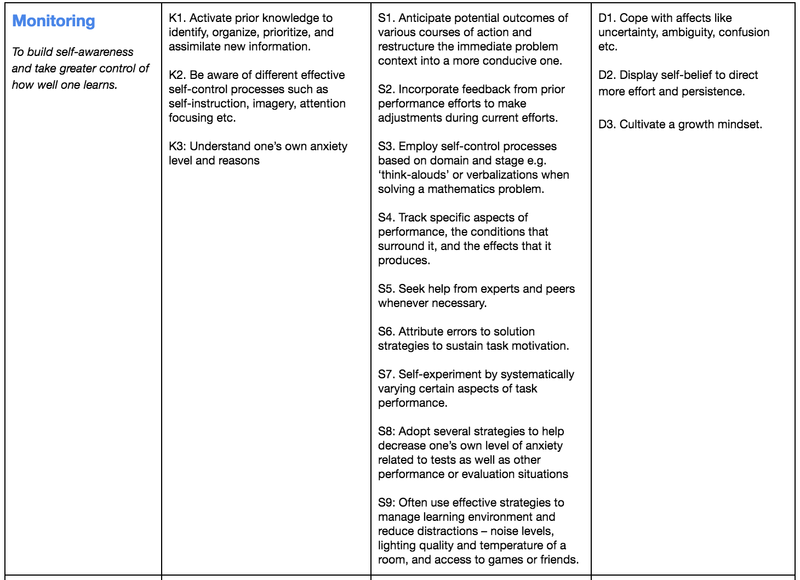 The effectiveness of their designs corresponds to whether they have accomplished explicit goals for their students. Explicit goals help both students and teachers. Students are able to give satisfactory responses when provided with performance goals highlighted throughout their work. Teachers can use the same performance goals to shape class discussions and detect whether learners are en route to the desired abilities and insights. One way to set goals is to focus on big ideas. Every topic typically encompasses more content than can be reasonably addressed, so it’s important to make deliberate choices and set priorities. The big ideas connect the dots for the learner by establishing learning priorities. The key challenge then is to identify a few big ideas and carefully design around them. Big ideas are at the core of the subject; they need to be carefully uncovered. A big idea is therefore both central to making coherent connections in the field of study and a conceptual anchor for making facts more understandable and useful. Provides breadth of meaning by connecting and organizing many facts, skills, and experiences. Points to ideas at the heart of expert understanding of the subject and is counterintuitive or prone to misunderstanding by a novice. Has great transfer value; across subjects and through the years in later courses, in the curriculum and out of school. Based on our user research work in the last spring semester, we decided to design and develop two learning modules to improve WGU students’ career management fluency and learning to learn fluency. Our goal framework presents all the key learning objectives guided by the big ideas as outlined above. 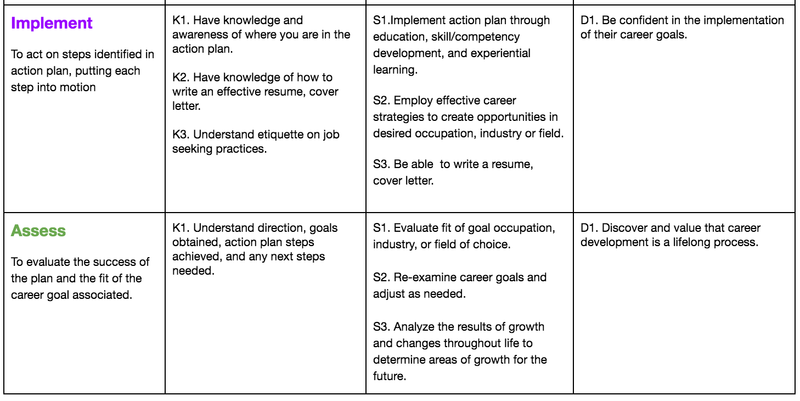 The career management skills span across four stages: explore, plan, implement, and assess. Learning to learn skills are organized across three stages: plan, monitor, and reflect. 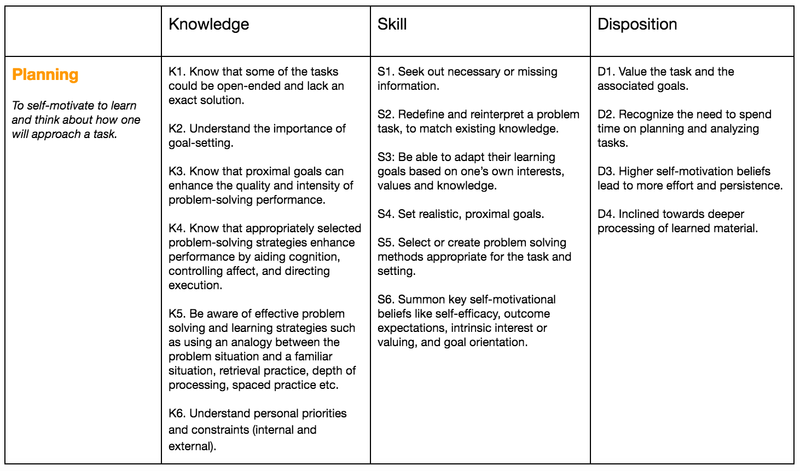 The skills are further decomposed into (declarative) knowledge, (procedural) skills and dispositions. 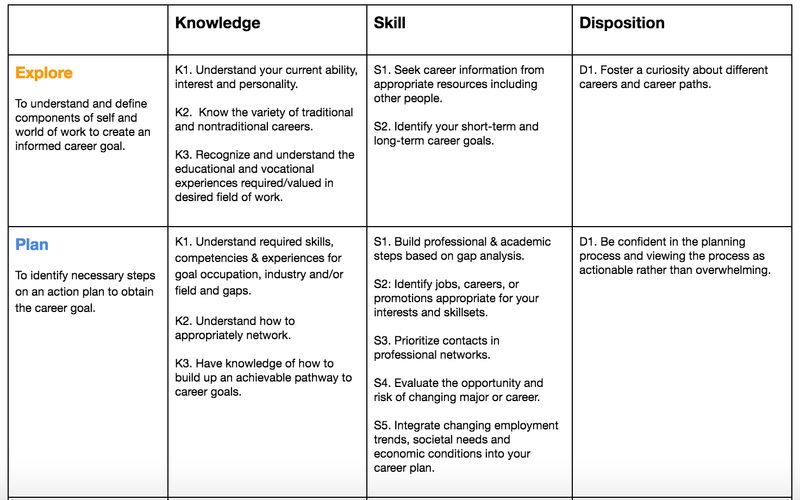 The ability to create realistic and adaptive career goals by identifying own skills, values, interests and other personal attributes. Having research skills to identify possible sources of information, help and support. Navigating, creating, investigating and seizing professional opportunities, and matching opportunities to own core skills, knowledge, values, interests. Being able to implement an action plan by organizing time effectively, identifying pathways needed to reach the goal, preparing contingency plans. Being able to monitor and evaluate progress against specific objectives. Being aware of the need to develop networks of contacts, and define, develop and maintain a support network for advice and information, being able to identify ‘customer needs’ (academic/community/employer) and to promote own strengths in a convincing way. Committing to lifelong learning for career development. Apply learning strategies suited to the domain. Self-reflect to guide subsequent efforts. The next step of the process is to determine acceptable evidence (design assessments) and plan learning experiences and instruction based on the above goal frameworks. Design a service solution that reimagines the student learning experience within the WGU ecosystem by investigating and identifying how career development and learning fluencies prepare undergraduate business students for career success.